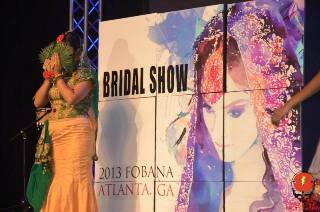 FOBANA (Federation of Bangladeshi Associations in North America) had its 2013 convention in Atlanta at the Cobb Galleria from August 30 through September 1. 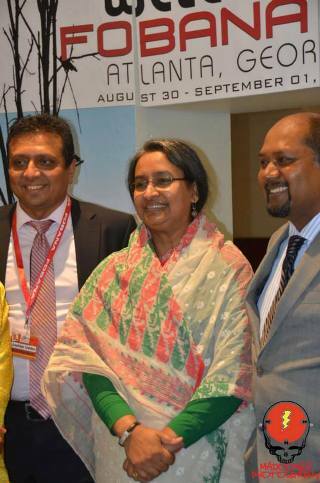 Bangladesh Foreign Minister Dr. Dipu Moni (on right). 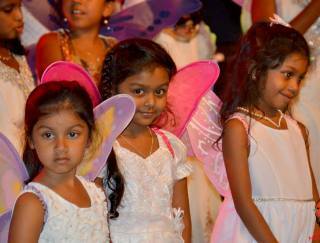 Inaugurated by Foreign Minister Dr. Dipu Moni, the Friday evening's program featured an opening ceremony with performances by Atlanta's Bangladeshi-American children led by Atlanta singer Taslima Sultana (Polly). 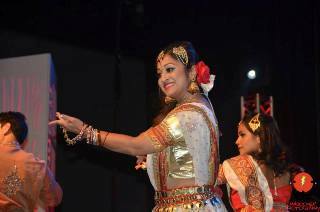 Programs featured dances and songs by local Bangladeshi groups as well as groups from other cities across North America—New York, Los Angeles, Chicago, Austin, Ft. Lauderdale—and guest artists from Bangladesh, including Haidar Hussain, James, Fahmida Nabi, and Bappa Majumdar. Other Bengali groups from Atlanta, such as Pujari and Sangeetkar also participated with their own group programs. 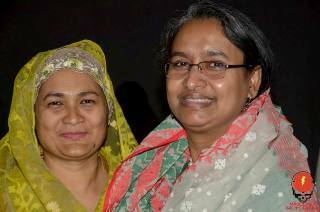 A documentary movie on Begum Rokeyea (on educating women) was shown. FOBANA also had poetry and literary sessions, addas with a famous movie director, and an art exhibition featuring local and invited artists. Seminars were presented on family law, urban and environmental issues, etc. 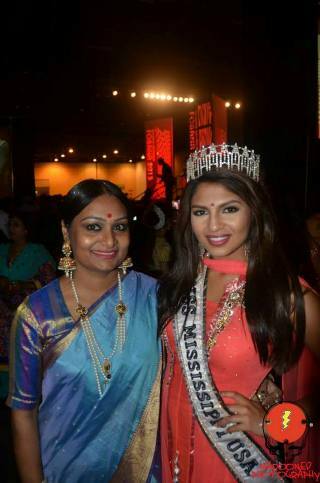 Miss Mississippi USA visited: Paromita Mitra, originally from Bangladesh, is a student of Aerospace Engineering with a minor in Mathematics. And of course, food and vendors' stalls were enjoyed by all. One of the emcees, Rita Aly. 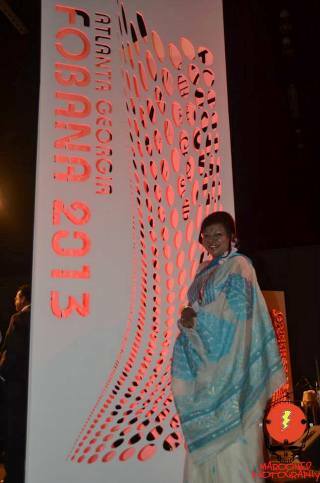 "Projapotir Gunjon" by Dolonchampa -- the opening program at FOBANA 2013, August 30. Directed by Taslima Sultana Polly; Script by Sohel Ahmed; Video by Suzanne & Amitava Sen.
Pujari, Atlanta's presentation at FOBANA 2013, August 31. 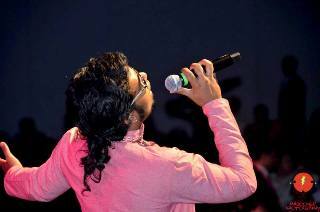 A live performance by Pujari, Atlanta, of Rabindrasangeet and Nazrulgeeti at FOBANA 2013. Directed by Debasri Dutta; Script: Subhasree Nandy; Singers: Debasri Dutta, Haimanti Mukhopadhyay, Malobika Deb, Debalina Datta, Rahul Ray, Saikat Das, Saibal Sengupta; Tabla: Byasdeb Saha; Octopad: Avishak Syam; Keyboards: Amitava Sen. Video: Suzanne Sen.